What is Gen-Shi Labs. Durabolin 200 (NPP) ? Anabolic steroid options out there to pick and choose from, it is somewhat surprising that this particular anabolic steroid – Deca Durabolin – would be considered such a favorite. Serious athletes, bodybuilders, and “weekend warriors” like have taken to leveraging everything that Deca Durabolin has to offer not only as a mass building steroid (making it easy to pack on pounds and pounds of lean muscle mass in a hurry), but also because of the amazing therapeutic benefits that this anabolic steroid has to offer as well. This is why it is such a tremendous medical anabolic steroid, and one of the few anabolic steroids that is really taken advantage of by modern medicine – even in the United States. Deca Durabolin is officially designated a 19- nortestosterone anabolic androgenic steroid thanks to its unique structural nature that lacks a carbon atom at the 19th position. This is only slightly different than traditional testosterone hormones, but that single change is more than enough to dramatically alter the anabolic properties that this steroid has to offer. 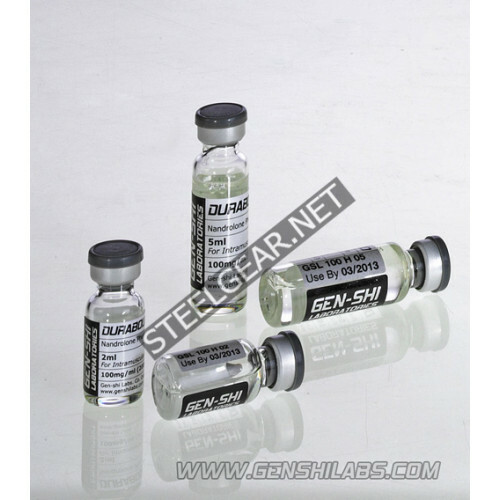 Providing many of the same benefits that standard testosterone will, but in a much slower releasing way, Deca Durabolin is able to dramatically improve the benefits of this anabolic steroid without the user having to frequently reinject themselves with more anabolic steroids over a specific amount of time. After Deca Durabolin has been injected is going to release the anabolic steroid solution it offers into the body over the next 48 hours, and the testosterone boosting properties that it provides can last for a week or more depending upon the body’s unique physiology. What’s the history behind Deca Durabolin? Originally released in 1960 and then commercialized in 1962, this certainly isn’t the first anabolic steroid produced but it is one of the longest lasting because of its ability to produce stunning results over an extended amount of time with minimal side effects involved. The Deca Durabolin steroid is going to dramatically improve protein synthesis while inhibiting glucocorticoid hormone activity in the human body. This is going to help boost nitrogen retention throughout your muscles, but it’s also going to do so over a longer amount of time than most traditional anabolic steroids will – giving those that train frequently a lot higher benefit on a single injection than they would have enjoyed with other solutions. At the end of the day, this injectable anabolic steroid has proven to be tremendously effective for years and years. It’s a proven mass boosting supplement that can work well alone or in an intelligently designed stack, and it also has therapeutic benefits that can help those that have led lives of hard training repair and recover much faster than they would have otherwise.